THE LIONS Cub of Bathurst Macquarie will be recognised as the official charity of the 2017 Liqui-Moly Bathurst 12 Hour. 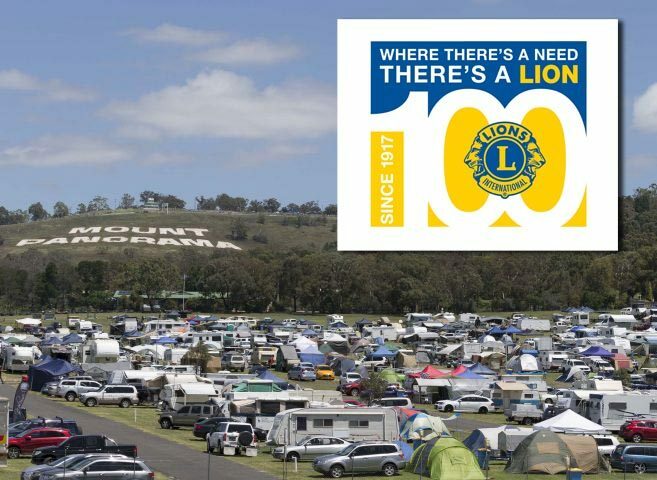 The Lions Club of Bathurst Macquarie Inc. is one of 1,400 clubs in Australia with approximately 26,000 members, with the Bathurst Macquarie club having served the local region for more than 40 years. “The Lions Club of Bathurst Maquarie is a local institution and a valuable part of the Liqui-Moly Bathurst 12 Hour event,” said Event Director John Casey. On 7th June 2017 Lions International will celebrate 100 years of service to those in need: Since 1917, Lions clubs have aided the blind and visually impaired, championed youth initiatives and strengthened local communities through hands-on service and humanitarian projects. The Lions Club of Bathurst Macquarie Inc is a close-knit club of 25 dedicated members who work very hard to raise funds for their local community, nationally and internationally. The main focus of our Club is to help “kids in need” in the Bathurst region and this can range from mobility aids to medical equipment and travel assistance and, on a national and international level, raising funds for medical research, sight, hearing, disaster relief, humanitarian needs in 3rd world countries and the environment. Club members will be collecting donations at the main entrance throughout the weekend to assist in these initiatives. The Club is also involved in Youth Exchange and Youth of the Year Quest.